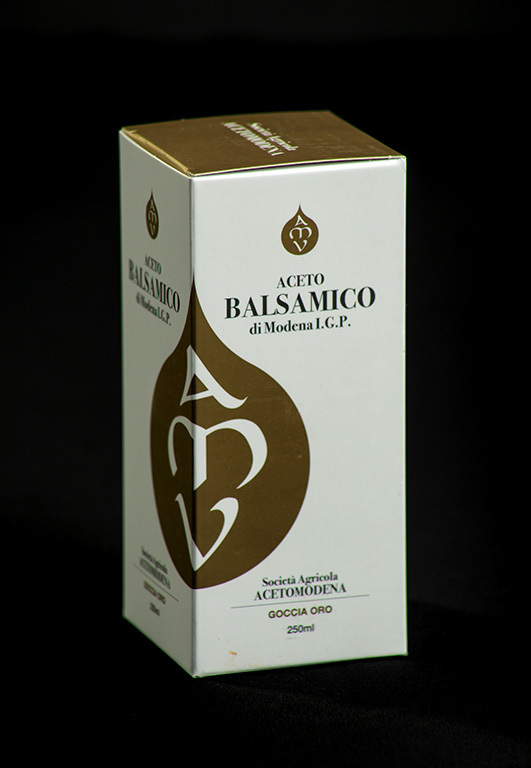 Acetomodena delivers this IGP balsamic to America. 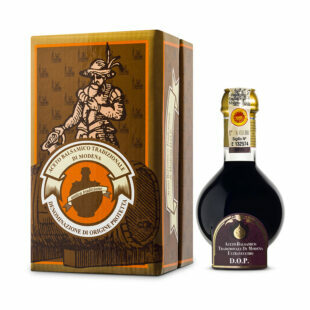 Goccia Oro is distinctively of higher quality and taste than most regular Balsamic of Modena IGPs. 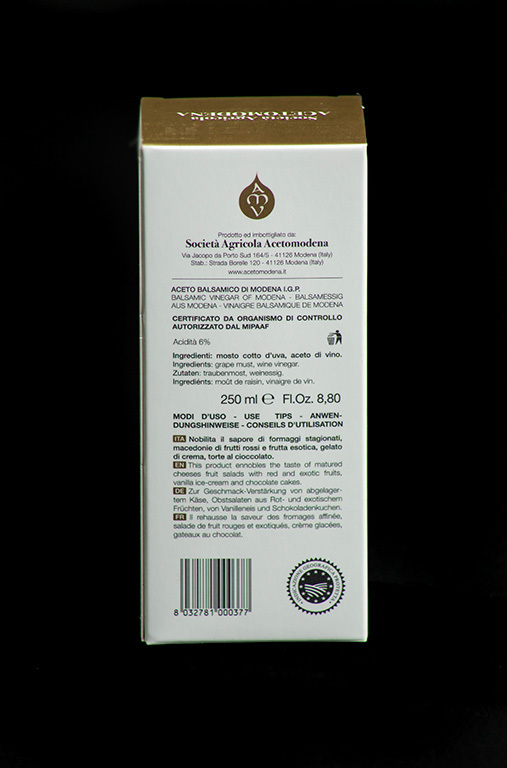 An Indicazione Geografica Protetta (IGP) award links quality of a product with the place or region where it s produced, processed, or prepared. By law, balsamic vinegar of Modena has the two principle ingredients of cooked grape must and wine vinegar. 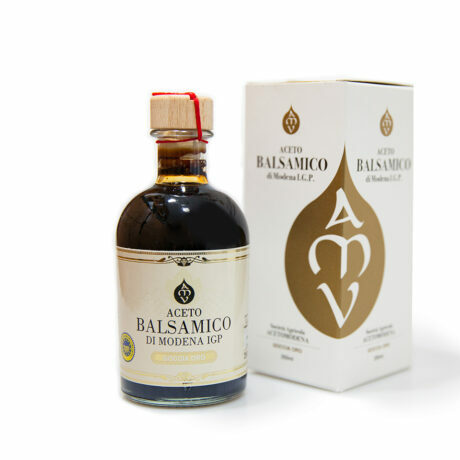 This product, unlike most IGP balsamic exported to the US, contains a low percentage of wine vinegar and a very high percentage of cooked grape must. In fact it boasts 70 % from family vineyards of Trebbiano and Lambrusco! Next, it is aged and ‘vinegarised’ for up to three years in quality wooden barrels. 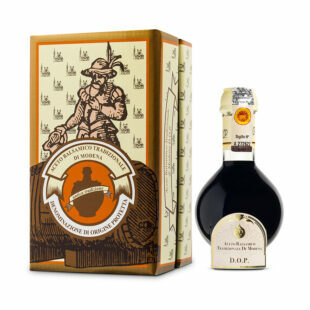 This results in a sweet yet delicate and balanced balsamic with a slight hit of acidity. Thus, it is incredibly versatile in the kitchen. 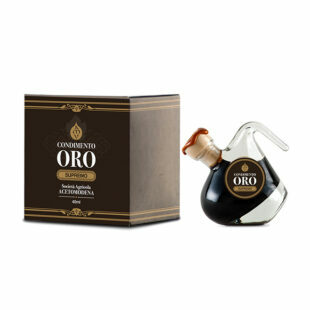 Try Goccia Oro in salad dressings, as accompaniment for mature cheeses, or for cooking your favorite dish. Learn more about Acetomodena on our blog!